In 1405, the writer Christine de Pizan produced a collection of alternative histories of women from literature and legend, interwoven with everyday observations of womanhood at the time. Unusually educated for a medieval woman, de Pizan was a champion of women’s abilities and The Book of the City of Ladies is widely considered to be the first feminist text. In de Pizan’s version of ancient European myths, women, previously represented as terrible witches by men, are recast as heroes. Through de Pizan’s desire to show women as steady, intelligent and kind, The Book of the City of Ladies shows that history as it might be written by women is very different to the one written by men. Drawing on de Pizan’s book, Australian artist Zanny Begg and Paris-based Australian filmmaker Elise McLeod have created their own collection of women’s stories in a film titled The City of Ladies. 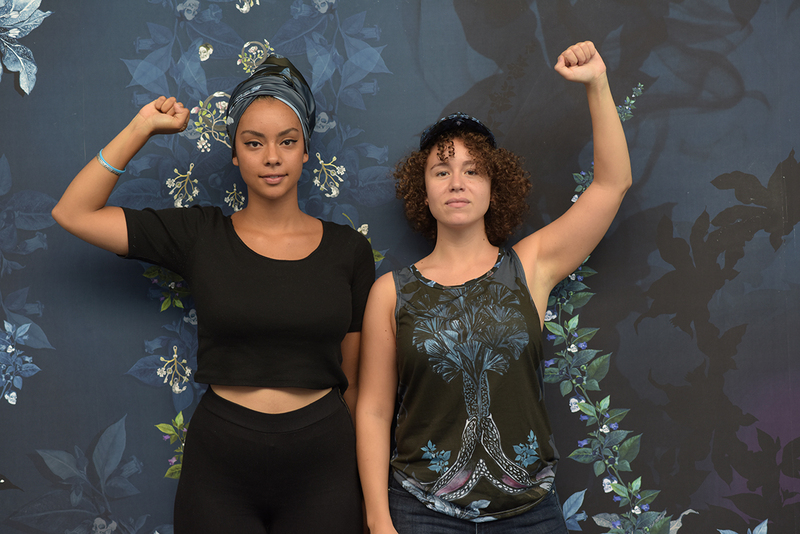 Recently screened at the MCA as part of The National, these stories are performed by a group of seven young Parisian women who play roles that draw on their real lives as activists as well as representing aspects of contemporary feminism. The women are bound by friendship, activism and the film’s central conceit: they are all auditioning for the role of Joan of Arc in an imagined production. The film is designed to give the audience a fragmented, partial viewing experience. Made up of modular episodes that are configured each time by an algorithm, each viewer sees a different set of events. The episodes include scenes where the women participate in activist projects, a story that follows one of the women as she confronts everyday situations and a casting session where each of them auditions. In addition, several key feminist thinkers, including 20th century powerhouses Hélène Cixous and Silvia Frederici share their knowledge in sections edited to appear as if the young women are receiving a class. These interviews and the sequences that explore individual stories are, for me, the most engaging aspects of the work. In the stories I’ve seen, themes of race, class and gender fluidity emerge. A young French-Asian woman helps her mother clean the apartment of a wealthy white woman. Left to finish the work on her own, the girl pretends she is the owner of the apartment. She puts on a leather jacket left hanging over a chair, tests the perfume on the mantelpiece, dances to a song on the stereo and reclines on the sofa with a copy of The Book of the City of Ladies. A young French-African woman listens to her transgender friend tell a story about a man who agrees to beat his friend’s wife to win a bet. The wife narrowly escapes being murdered and lives the rest of her life as a man. A North African woman wonders where she fits as an African woman living in France and passing for white. Sharon Omankoy discusses afro-feminism. There are some charming moments in The City of Ladies. The women are endearingly earnest, they face-swap each other into an internet image of Joan of Arc, and there is a lot of dancing. But I struggled to place the film within the context of The National, a survey of contemporary Australian artists held across the MCA, AGNSW and Carriageworks. The National is in part about creating and establishing Australian histories and while there’s something global about all 21st century experience, each place has its own particularities that influence how issues of colonialism, globalism and migration manifest in daily life. Because The City of Ladies explores these issues as they occur in Paris, I felt unable to use them to think through my own position and experience as a young 21st century woman. For example, France’s relationship to colonialism is significantly different from Australia’s, as is the way feminism has been theorised and enacted. Perhaps this response is specific to me, but within the context of the exhibition, I was looking for Australian responses to these questions. Also difficult to reconcile is the film’s body-oriented image of feminism with my own thinking about how women are imaged. The camera work is empathetic and even-handed and the film attempts to challenge mainstream ideas of feminine beauty, but, by using conventional formal techniques — in particular, continuity editing and the use of coverage that is varied and doesn’t draw attention to the image’s construction — the film fails to address questions of representation as thoughtfully as it might. For me, two key, long-running questions are the objectification of white women and the invisibility of black women. Begg and McLeod’s film engages these to some degree. Black women are present, and white women are active, but all of them are pretty and when the camera roves closely over their young dancing bodies the image is not different enough from the problematically sexualised images of young women made by men to encourage the audience to reflect on how representation influences what women become. Perhaps the artists imagine the shots as empowered images of young women that are joyfully sexual, or as a playful riff on the notion of putting women on a pedestal — there are sequences where the women actually dance on a pedestal. But the image feels contradictory because the film grammar, in particular the slow-motion close-ups, carries a history of feminist argument that has not yet been resolved. 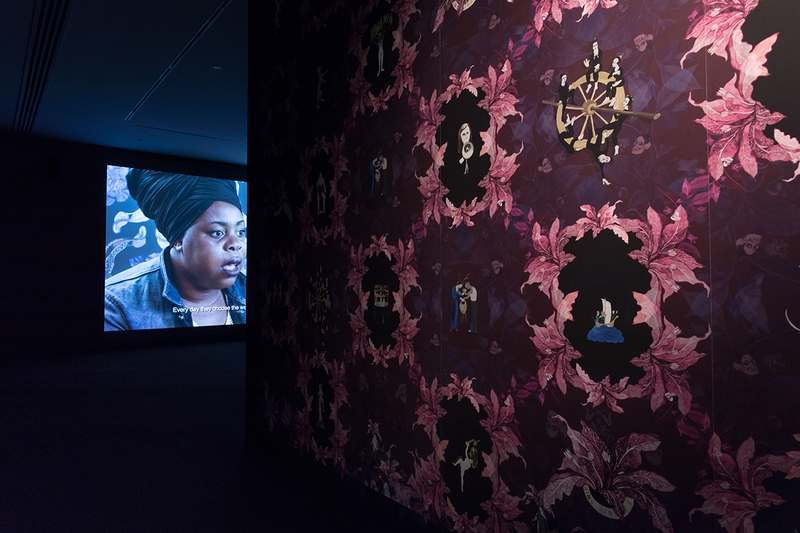 Some of these questions around how women might be represented in a feminist context are concurrently on display in Alex Martinis Roe’s It Was About Opening the Very Notion That There Was a Particular Perspective (2017) in The National at AGNSW and they are questions that still feel pressing. There is also the question of women’s technical roles within film production. One of the most positive feminist actions is to put women behind the camera, but the DOP on The City of Ladies is male. What stays in my mind are the interviews with feminist theorists. Thoughtful and passionate, they are, like de Pizan’s writing, a sign that things might one day be different. Sarinah Masukor is a writer and moving image maker. Her writing on film and contemporary art has been widely published here and overseas. She has worked as a presenter and critic for ABC Arts and Radio National and currently teaches Media Arts and Production at UTS.